"Hello than you for your concern on our puppies. where are you located. We are on a discount promotion sales, our puppies are still available. If you want our puppy you will need to let us know how soon you need a puppy. If you want two we can give you a discount. We are selling them for $420 each. including free shipping and delivery within USA and Canada. So get back to me and let me know where you are located and how soon you need one. Our Puppies. Then they sent this ​Thanks for making a final decision. We are planing to proceed with delivery as soon as we receive your payment. Also,we are planing to ship the puppy alongside a catalog for our past breed and a CD which includes all instruction to take care of the puppy. 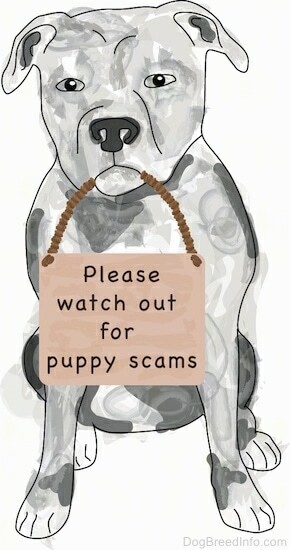 You will have to send our payment for your puppy through. 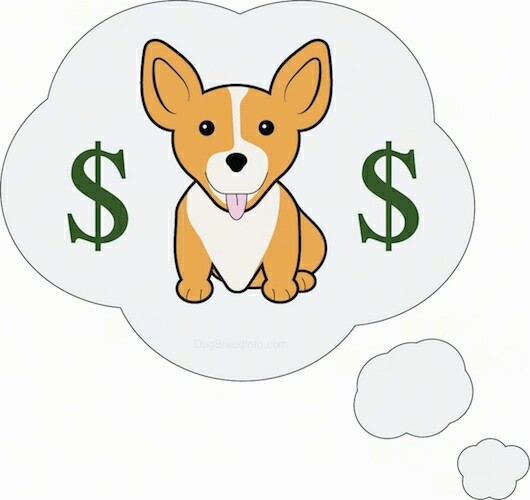 You will have to send our payment for your puppy through Walmart money transfer we live and work in the same building payment. During promotion we accept payment through Walmart money transfer because its fast and will let us prepare your puppy for delivery ASAP So the information that you will be needing to send the money is as shown below as follows. Walmart to Walmart Information Names: Fonga Jefferson Address: 2324n McArthur Blvd City: Oklahoma City State: Oklahoma Zip: 73142 Amount: $420 Tel: (000) 000 0000 You will just have to copy the payment information i sent to you and take it to the nearest Walmart store around you. Once you are there asked them to give you a sending form and when you are given the form fill in my payment information as i sent to you. Once they are done with the transaction they will give you a payment receipt you will take a copy of the payment receipt and send to me. Waiting to hear from you soon once payment has been made so that your puppy can be shipped to you as soon as you want Regards. Our Puppies." I ran the phone number through reverse search and it came back as a phone number that was reported as a scam..then I sent them this Your phone number is recorded as a scam...SHAME ON YOU!!!! THE LORD WILL PUNISH YOU FOR TAKING INNOCENT PEOPLES MONEY....YOU WILL STAND BEFORE GOD ONEDAY!!!!" I wanted a corgi so bad. My mix breed has cancer and wont be around much longer. I found the guy on corgi puppies for sale. He had a strong accent . 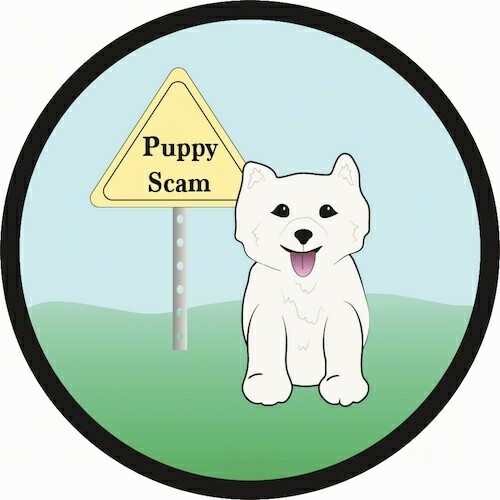 I kept telling myself not to automatically assume that just bc of the accent he was going to scam me He was asking $400.00 for the puppy that was going to be AKC certified, and have everything I could imagine except micro chipped. The breeder requested the money be sent via MoneyGram. He said he found the a courier that was really cheap so the entire price would only be $490.00. None of the pictures he had on the site had any pictures of the breeder. The only picture was a group of people so I did not know who was the breeder. My heart was telling me not to assume and to give the person a chance to prove themselves. He did not return my calls one night and apologized saying he was at the hospital with her. I told him I was a Christian and would be praying for her. He used the name William McKayla and had an Asian accent. He wanted me to send the money in his brothers name because the money gram store next to him closed early and his brother would pick it up so make it out to Denis Wright in Norfolk Va. I sent the money. Then I get an email from County Live Express. They were suppose to be the courier. The breeder had brought them the puppy. a few weeks ago they supposedly had a puppy that died in transport so I would have to purchase a life insurance policy on the dog and it would be refunded to me in cash when he delivered the puppy to my house. He strongly said he had my puppy and if I wanted it I had to pay the money. The breeder kept texting me acting like he knew nothing about all this. He said he had used them one other time and there was no policy. I asked where my puppy was. Supposedly he had been taken to the airport in Norfolk and a guy named Carluos Dalouis was with him. I asked the breeder for the address of the couriers office. He did not know. I called the courier office and ask for there address he had to have me hold on. I could hear him fumbling threw paper. The address he gave me was to a museum. I called the museum. They knew nothing about them. I called the Richmond PD bc that is where supposedly the office was at. They had never heard of them. I found out the mileage from where the breeder was and the address of the courier was almost 2 hours away. I started pinning them down and they told me that the business had just been started and they didn't actually have an office yet, They were just using cell phones and meeting people to pick up the dogs. They apologized for not telling me all that in the beginning. My head was telling me you have been scammed but my heart kept saying no. Just don't expect everyone on the internet to be a scammer .I so wish I had of listened to my head. They cut off their cell phones. Removed my text on their site and blocked my computer from their sites and my cell number One guy even forwarded his calls to a man in a different state that I do believe he knew nothing about it. he was in Maryland. I am out a lot of money. I cant get a dog bc my money is gone. I don't trust anyone now. I saw 2 ads for Samoyed puppies on 2 sites, I texted the numbers to inquire about both. One said Wisconsin, but it ended up they said they were in Cincinati. I texted them both, and the responses I got said to give them my email and they would send photos. Both responded to my email, and funny enough, the two emails were almost identical in nature, same wording. Both said they had a small boy and girl puppy, which would I want? The descriptions of the temperments of the girl dogs and the boy dogs were identical between the two emails, but they had given the two sibling puppies different names.For example, one called the girl Traci, one called the girl Erica. Erica -She is home trained. -She does not bark a lot. -She Is friendly with kids and other pets. -She get angry when you shout at her. These descriptions were identical on the other email for the Traci puppy. The two emails were apparently a form letter. One of these phony scammers was from "cypress Texas", one said Cincinnati, Ohio. Both had very poor English grammar. One of them sent photos, and I found one of the photos on the internet, copied from a site in the UK.